Photo by Jeff J Mitchel/Getty Images. New York Times slideshow. 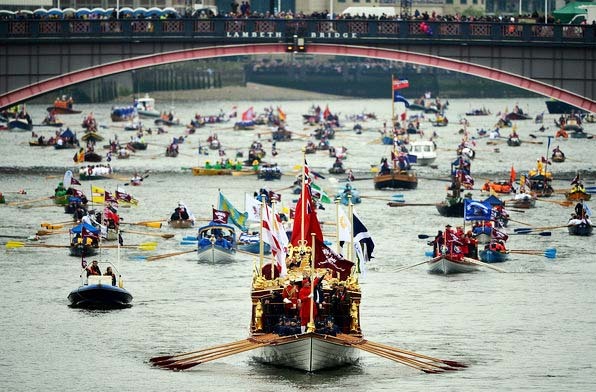 Thousands lined the River Thames in London for the Jubilee River Pageant - the perfect setting to start the Diamond Jubilee celebrating the 60 year reign of HM Queen Elizabeth II. 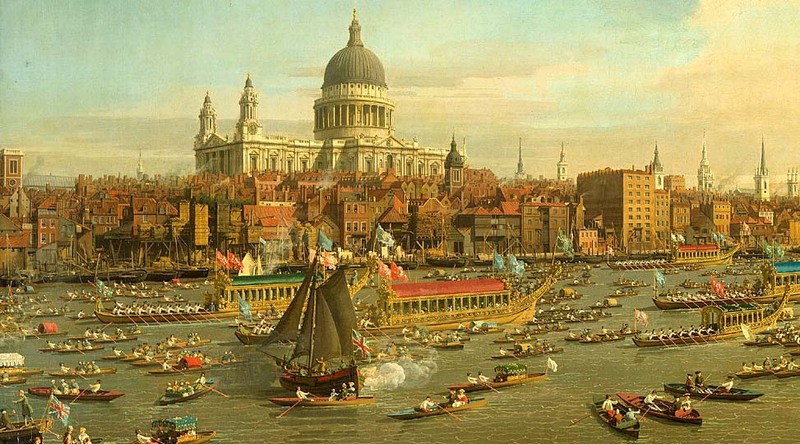 As the BBC says: "London would not be the city it is today without the River Thames. 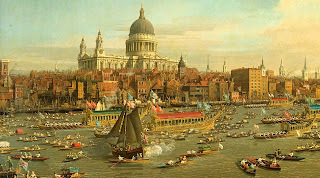 In past centuries it helped commerce and trade grow and also was used to stage grand events and regal ceremonies." Sound a little like Memphis and our connection to the Mississippi? 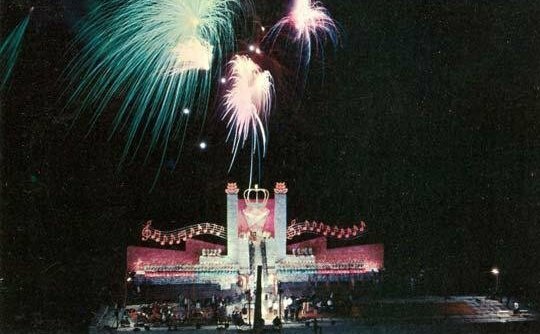 No one knows how to do pomp and pageantry like the British, but the landing of the royal barge on the Cobblestone Landing at Memphis was a good attempt and an exciting beginning to the old Memphis Cotton Carnival. 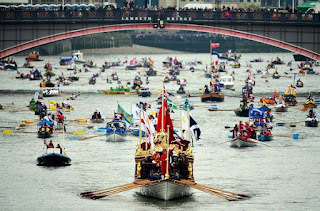 The BBC has produced a fascinating 6 minute video on the role of the Thames in past and present pomp and pageantry. Click HERE to watch.